The Forest of Wellbeing Spa offers a truly holistic approach to making you look and feel fantastic and is the perfect setting to relax and unwind. Whether you are on a spa day, a spa break or simply want to book in for a treatment, our experienced therapists will talk you through our services which can be designed to suit you. We have six luxurious treatment rooms, two pedicure rooms, a spray tanning room where we offer Vita Liberata spray tans and a dedicated nail bar area. Our Relaxation Room provides an ideal haven for resting after a treatment. Guests joining us on a spa day or spa break can enjoy full access to our health club facilities for the duration of their stay. 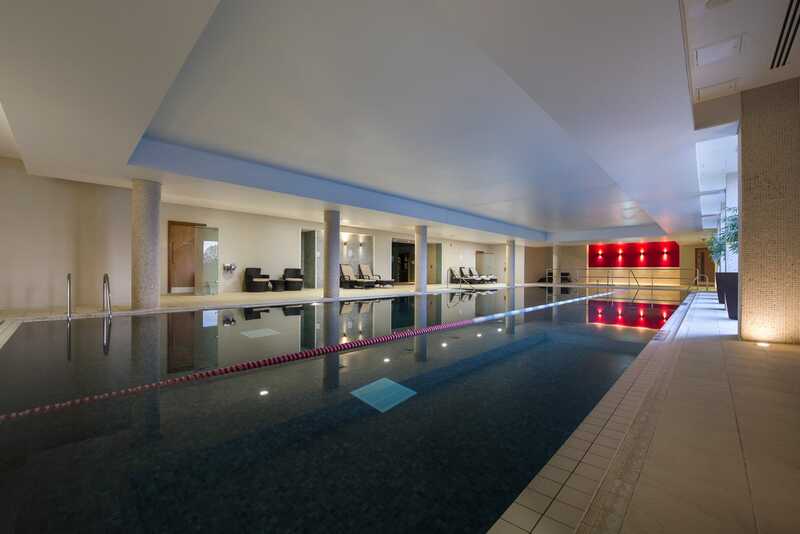 This includes a 20 metre swimming pool that children (under 16) are permitted to use at certain times, hydrospa, spa pool, sauna, steam room, foot spas, and feature showers. We also offer a private spa garden giving guests a tranquil setting to unwind in the fresh air. If using the swimming pool please refer to our swim timetable for open, adult only and children swimming times.